Blue-tacked to our kitchen fridge is a laminated list of our "family values", first idealistically penned when our (now-nearly-teenage) son was a toddler back in 2010. The inspiration for the list was born on a family trip to New York to visit friends. On the sides of every NYC police vehicle - from interceptor to motorbike to tuktuk - were the words "Courtesy, Professionalism, Respect." With a rambunctious 4yr old to manage, the idea of physically printing your values, and making them visible for all to see, really resonated with us. And so our own set of family "guidelines" has been stuck to our fridge ever since. Number 3 on the list, is "Say what you mean and mean what you say" - designed to remind us of the importance of being sincere and forthright in our communications with each other - well, we can only try! The concept of "meaning what you say" got me thinking about words and the way in which we use (or indeed misuse) them. As the article below explains, some have been so frequently misused they've become commonly accepted. To the extent that the Oxford English Dictionary has taken the step of altering some of its own definitions. Terrific - not something "wonderful" or "positive" but rather that incites terror or fear. News to me. Peruse - not, as I'd always understood to "lightly skim-read" something - but in fact the exact opposite, as in to study in great detail. Duly noted. Perhaps it's time I "perused" the list below! If there’s one thing that’s sure to irritate a nit-picking grammar pedant, it’s someone saying that they “literally” jumped out of their skin, or that they “literally” died laughing. Neither of those things literally happened (or at least we hope they didn’t). 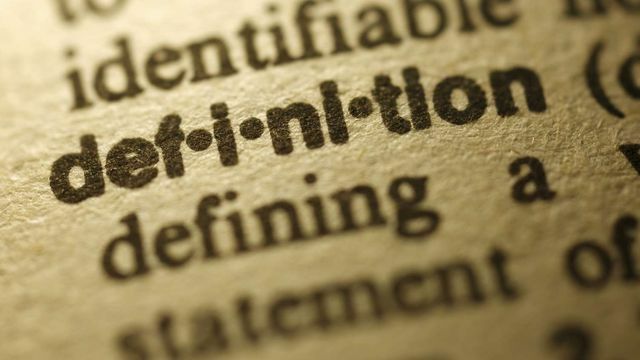 Instead they happened figuratively, whereas literally means “actually,” “exactly,” or “in a literal sense.” But literally gets misused so often that the looser, emphatic use of it to mean “figuratively” or “effectively” has now landed itself a place in the dictionary—much to some people’s annoyance. Elsewhere in the dictionary, however, there are plenty of words being misused and misinterpreted, many of which aren’t anywhere near as well-known or as easy to spot as literally—and so might find their way into the day-to-day language of even the most careful grammarians.